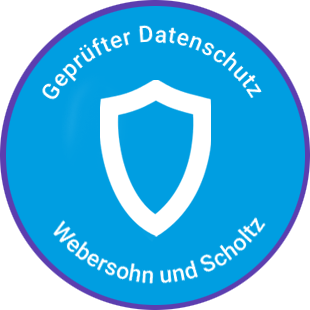 The data protection information summarized here merely provides an overview of the collection and processing of your data by Companisto GmbH. 1. Which personal data is collected? When you visit our website, so-called server log files automatically store information. When you create a profile at www.companisto.com: First and last name, email address, date and place of birth, address, bank details, tax ID number, summary of your investments. When you create a company profile at Companisto: First and last name, email address, telephone number, company name. If you use our contact form: Name, email address, the subject and your message. To use and operate our website and to provide our equity crowdfunding platform. Your data will also be transmitted to our sister platform companisto-investments.de, which is operated by Companisto Wertpapier GmbH, so that you can also invest in interesting companies via this platform. Your data will also be transmitted to service providers from third countries if this serves to support our contract fulfillment. However, we will not pass on your data to third parties without your express consent or a legal obligation to surrender them. 4. How long will your data be stored? Personal data will be deleted no later than 6 months after termination of the relevant contract or upon request. You have the right, upon request and free of charge, to receive information on what data is stored about you. If it turns out that the data stored about you is incorrect, you are entitled to a correction. You have the right to have your data deleted as soon as it may no longer be stored. You have the right to object to the future use of your data at any time. The Companisto GmbH (hereafter "Companisto") is an equity-based crowdfunding platform. Any collection, processing, or use (hereafter "use") of data is carried out exclusively in order to deliver our services. Companisto's services have been designed with the goal to collect as little personal information as possible. Here, "personal information" refers to any individual details pertaining to personal or material relationships of identified or identifiable natural persons (the so-called "person concerned"). No data is relayed for marketing or sales purposes. 1. Which information is collected? This data is processed for the purpose of enabling the use of the website (connection establishment), system security, technical administration of the network infrastructure, and optimization of the Internet offering. The IP address is only evaluated in the event of attacks on our network infrastructure or the network infrastructure of our Internet provider. When you create a profile on www.companisto.com, we use the following personal information for purposes related to the establishment, fulfillment, and execution of your contractual and usage agreements with us: first and last name, e-mail address, birthday and birthplace, address, bank details, tax ID number, a summary of your investments. When you apply for an investment round at Companisto as a company and create a company profile, we use the following data, which can also be personal: First and last name, email address, telephone number, company name. When an initial investment is made or functions are first used that require registration, then your information is stored in order to create a customer profile. This ensures a quicker and more convenient investment process. After an investment is made, we display your first name, location, and the sum you invested on the website. The legal basis for this is point 6 article 1 lit. b) GDPR. The transmission of your data is always encrypted via TSL (Transport-Layer-Security, also known as SSL). If you apply for an investment round on Companisto as a company and create a company profile, we save and process the information you have entered. When you subscribe to our newsletter, your email address will only be used for your own advertising purposes. When the contract has been completed or your customer account deleted, your data will be blocked in consideration of tax and commercial retention periods and deleted after expiry of these periods, unless you have expressly consented to further use of your data or if we have reserved a legally permitted further use of data, about which we will inform you accordingly below. Data collected within the scope of contacting us (e.g. via contact form or email) will be deleted after final processing of your inquiry, provided you wish this and there are no legal storage obligations to prevent deletion. Your personal information will not be forwarded without your explicit approval provided that nothing to the contrary to these privacy policies arises. Cases requiring us to hand over this data, such as a court order or other administrative orders or the fulfilment of our service, do not apply here. In accordance with our Business Terms and the approval you may have given us upon registration, we will pass on your profile data (including data from the performance of adequacy tests) to our sister company Companisto Wertpapier GmbH, which operates the sister platform www.companisto-investments.de and will store and process the data in accordance with its data protection information. The data is passed on for the purpose of registering on the sister platform so that you can also invest in projects presented there. We have taken both technical as well as organizational measures to ensure that the European General Data Protection Regulation (GDPR) is respected both by us as well as the external service providers with which we cooperate. If, in order to carry out our services, we work together with another company, such as email or server providers, then this partner is chosen after a strict vetting process is completed. When it comes to this selection procedure, each individual service provider is chosen according to their technical and organizational abilities pertaining to data protection matters. The selection procedure is documented in writing and a contract on processing data (contract data processing) can only be made if it meets the requirements of the point 28 GDPR (General Data Protection Regulation). Your details are stored on specially protected servers. Access to it is only possible for a few specially authorized persons. When you send us data via web forms, it is always transmitted via an encrypted connection (128-bit TLS). We use the support of service providers from third countries to provide our services. To ensure the protection of your personal data in this case as well, we conclude specially commissioned data processing contracts with each of the carefully selected service providers. When you provide us with data or we receive data from the tax authorities, we are entitled to use this data and to make it available to the startups in which you participate and their service providers. This way, we, the startups, or their service providers can make payments to you from the investments (e.g. interest or loan repayments) and the corresponding registrations, in particular capital gains tax, solidarity surcharge and, if applicable, church tax at the responsible authorities. This applies particularly but not exclusively to your first and last name, your gender, your address data, your participation amount, your bank details, information on exemption orders, and your tax identification number. You agree that we, the startups in which you participate, and their service providers may request your church tax characteristics from the Federal Central Tax Office and any other competent authority so that we can pay the church tax for you if necessary. You can object to the publication of your data by the Federal Central Tax Office. To do this, you must issue a lock note to the Federal Central Tax Office. Once a blocking notice has been issued, it remains valid until revoked in writing. a) In addition to the aforementioned data, cookies are stored on your computer when you use our website. Cookies are small text files that are stored on your hard disk associated with the browser you use and through which Companisto or the site that sets the cookie obtains certain information. Cookies cannot run programs or transmit viruses to your computer. We use them to analyze the use of www.companisto.com in anonymized or pseudonymized form and to present interesting offers on this website to the user. b) Transient cookies are automatically deleted when you close your browser. This includes most of the cookies we use. These particularly include session cookies, which store a so-called session ID and with which different requests of your browser can be assigned to the common session. This will allow your computer to be recognized when you return to our website. Session cookies are deleted when you log out or close your browser. c) Persistent cookies are automatically deleted after a specified period, which may vary depending on the cookie. You can delete cookies at any time in the security settings of your browser. Please note that you may not be able to use all functions of this website. d) Our partner companies are not permitted to collect, process, or use personal data via our website using cookies. Our website uses Google Analytics. This is a service for analyzing visits to Google, Inc.'s website. ("Google") and enables us to improve our web presence. Cookies enable us to analyze how you use our internet presence. The information gathered by cookies (IP address, time of access, access time) is transferred to a Google server located in the United States and stored there. The evaluation of your activities on our internet presence is sent to us in report form. Google may also forward the collected information to third parties provided that this is legally required or as long as third parties process this data for Google. We use Social Plugins ("plugins") from the social network, facebook.com, which is operated by Facebook, Inc., 1601 S. California Ave, Palo Alto, CA 94304, USA ("Facebook"). These plugins can be recognized through a Facebook logo (white "f" on a blue tile or a "thumbs up" symbol) or through an additional label that reads "Facebook Social Plugin". The list and appearance of Facebook's Social Plugins can be seen here: https://developers.facebook.com/docs/plugins/. If a user calls up a website that contains such a plugin, then the browser automatically creates a direct connection to Facebook's servers. The content of this plugin is directly transferred to your browser by Facebook and then integrated into the website from the browser. We do not have any influence regarding the scope of the data that Facebook collects with the help of this plugin. As a result, we inform our users on this matter to the best of our knowledge. If a user is also a Facebook member and does not want Facebook to collect data on them through this web presence and connect these to their account, then they need to log off of Facebook prior to visiting the web presence. It's also possible to block Facebook Social Plugins with add-ons for your browser. Our web pages are integrated with remarketing tags of the social network Facebook, 1601 South California Avenue, Palo Alto, CA 94304, USA: When you visit our website, a direct connection is established between your browser and Facebook via remarketing tags. Through this, Facebook receives information that you visited our website using your IP address. This allows Facebook to match visits made to our site to your user account. Information received in this manner can then be used in order to display Facebook ads. We'd like to point out that we, as the operator of these web pages, do not receive any information on the content of the transferred data and are also not informed about how this data is exploited. For more information on this topic, please find Facebook's privacy statement under: https://www.facebook.com/about/privacy/. In case you do not wish that any data is collected via Custom Audience, then you can deactivate Custom Audiences under https://www.facebook.com/ads/website_custom_audiences. Cookies are deposited onto your computer when browsing through our web pages. This is done so that we can better understand our perspective clients. With AdRoll (a partner for display ads) we're able to present you with retargeting advertisements on other websites. These are deployed based on your previous interactions with our website. The techniques that our partners employ do not collect any personal information, such as names, e-mail addresses, addresses, or telephone numbers. This website allows you to opt out of targeted advertisements by AdRoll and its partners. In addition to providing our services (main purpose), we also use your data for secondary purposes related to the main purpose. A secondary purpose is, for example, to send you information about new web and service offers from us by email. The dispatch thereof takes place according to this data protection declaration. You may object to such use of your data at any time if you do not wish such use. Please contact our data protection officer at the above mentioned contact address. You will not incur any additional costs for exercising your objection other than the usual telecommunications costs. Under no circumstances will your data be given to third parties for advertising purposes. By creating a user account with us, we reserve the right to send you investment information on Companisto to your mailing address. You are can rescind your consent to receive newsletters and postal mailings at any time, e.g. by sending an e-mail to info@companisto.com or writing to the address above. By subscribing to our newsletter you receive it until you unsubscribe. We use the so-called double opt-in procedure for this service, i.e. you will receive an email in which you must confirm that you are the owner of this email address and wish to receive this newsletter. You can unsubscribe from the newsletter at any time either by using the link at the end of each newsletter or by unsubscribing from the newsletter subscription in the settings in your profile. Alternatively, you can inform us by email (with subject: unsubscribe). You reserve the right to obtain information regarding any personal details or any data that has been stored in a pseudonym to which you have been assigned. Furthermore, you reserve the right to demand that your personal information is deleted, blocked, or corrected. Naturally, you can always correct the data stored in your profile yourself immediately. You always have the right to receive your profile data in a common machine-readable form. You are free to object to the use of your data in the future at any time. You also have the right to complain to a supervisory authority about our processing of your personal data.